Brandon Meyers was all in and at risk preflop for his last 67,300 with . Matt Glantz had him at risk with . The flop fell , giving Meyers a flush draw, and the on the turn completed said flush. A meaningless completed the board, and Meyers doubled. Who Will Become the 2013 PCA $25,000 High Roller Champion? 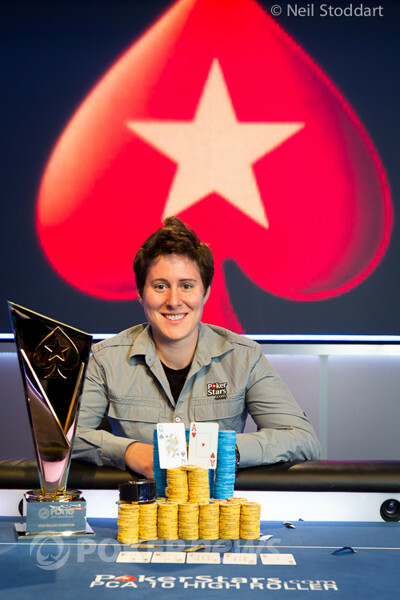 Vanessa Selbst wins the 2013 PCA $25,000 High Roller.